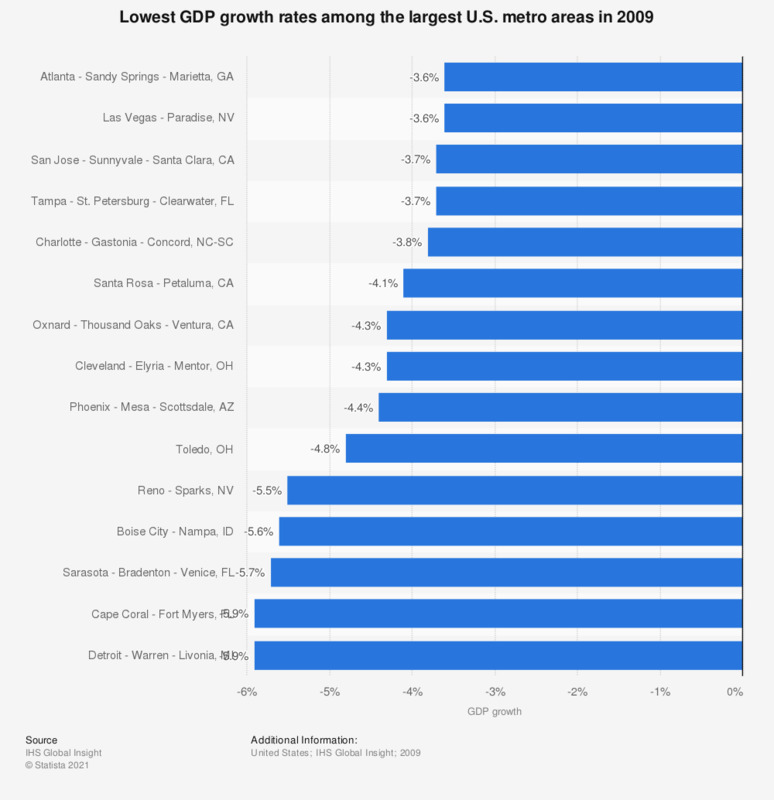 This statistic shows the lowest GDP growth rates in the largest metro areas in the USA in 2009. The real gross metro product growth rate in Toledo, Ohio was at -4.8 percent. The overall quarterly GDP growth in the country can be found here.